Star power...Twitter...Gen-Y....Gen-6...Hispanics....Danica... NASCAR execs are pulling out all the stops to make this sport hot again. But are cars -- muscle cars or race cars -- really even relevant any more on the American sports scene? And what about NASCAR's classic 'core fan'? Where does he fit into this new NASCAR game plan -- "NASCAR's vision is to be the premier motorsports innovator, universally regarded as one of the world's most successful sports entertainment properties," as this vision statement proclaims. Daytona and Charlotte might not have all the answers, but you can't say they're sitting on their tush. It's been a while since the sport's heady days, that rip-roaring stretch from 1994 through, say, 2007. From the Indianapolis Brickyard 400 explosion, and the rise of Jeff Gordon, and the prime of Dale Earnhardt...through the period of the ill-fated and disliked car-of-tomorrow, and the U.S.' economic disaster. The sport's high-water mark could well be seen as the 2005-2006-2007 stretch, the dizzying run of sizzling TV ratings and big crowds, rousing sponsorships and titillating controversies. To breathe new life into the sport, to shake off malaise, to revitalize things, and hopefully to take it all to 'the next level' NASCAR executives have been working on a major six-point game plan, for nearly a year and a half now, really some 2-1/2 years. What is this game plan, and how well is it working? All, NASCAR officials say, while working to keep this sport's "core fans" involved. NASCAR defines the heart of those core fans as white males 30-60. The most obvious part of this game plan are the new 2013 model stock cars. The 2013s are much more distinct by brand than the common template COTs (which ruled from 2007-2012), and the 2013s are such a key part of this that NASCAR has even created a new logo, calling them 'Gen-6' cars..rather contrived, since the previous five generations are a pretty nebulously defined bunch. However it is not clear that the Gen-Y 18-to-34s are swayed by street car stylings at all. Cars today for many, particularly younger drivers, are utilitarian, rather than some personal statement. Detroit itself is much to blame for this, of course, with its form-follows-function approach to designing cars. Does anyone even know what a stick shift is any more? Linda Vaughn, where are you? Is Detroit too late to the game? Is NASCAR too late to the change? But there is more, much more, to this game plan than just some new sheet metal. That's been one of NASCAR's guiding principles for years. Checks flow into Daytona, not the other way. So it comes as something of a surprise that NASCAR lately has been spending some of its own money -- on helping develop a new group of stock car drivers, finding them and polishing them, and offering them a future in this sport. Actually it only makes sense, NASCAR investing in its future. Think young racers like Trevor Bayne and Brennan Newberry. 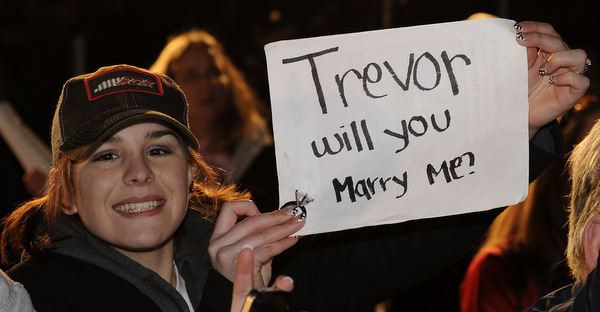 Trevor, you've heard of. The Daytona 500 winner. But Newberry, here as one of NASCAR's new Truck racers, working out of Kevin Harvick's Kernersville, N.C., shops, is what NASCAR wants: a polished, sponsor-friendly, young driver. 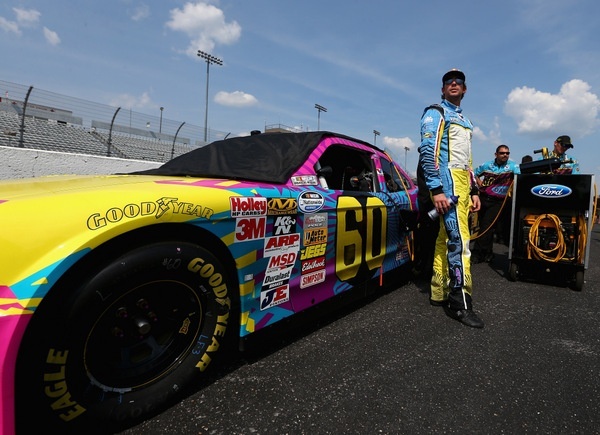 It recently took half a dozen of its promising new stars, not the familiar names but new ones, out to Los Angeles to meet some key figures in the entertainment world -- to show them a bit of this 'new look' NASCAR driver. "And they were blown away by these drivers," NASCAR's Brett Jewkes says. He may be virtually unknown to most NASCAR fans, indeed to most NASCAR journalists. In his two full years on the job Jewkes has worked behind the scenes developing this plan and working to implement its many parts. This 'new driver' project is part of a much larger project, to shape, maybe even reshape, the entire sport in specific ways. The real genesis of this larger project isn't clear -- whether it was a 'buying' job or a 'selling' job. But it's here now, and NASCAR teams have been told to get on board. Two and a half years ago, in a major meeting of the sport's top executives, Jim France, Brian France, Mike Helton and several others locked themselves in a room for five days, to come with a new game plan for the sport. The over-100 focal points coming out of that meeting, and in related talks with industry sponsors, were trimmed to a more manageable 37. And those have been packaged into six main categories. Those 37 were put together in a power point presentation dubbed the 'Industry Action Plan,' and before the start of the 2012 season NASCAR executives sat down with race teams to lay everything out, and tell the teams to start focusing on these many points, in their own operations. A significant goal, naturally, is to attract more high-dollar, big-business sponsors to this sport. And the cost of this type of racing is so expensive -- say $20 million per team per season just for the racing itself, plus however much more sponsoring companies need to spend to 'activate' that sponsorship. Shell/Pennzoil. Miller Lite. Farmers Insurance. FedEx. 5-Hour Energy. 3M. M&Ms. Lowe's. Fastenal. Furniture Row. Aaron's. Caterpillar. NAPA. Target. Menards. GoDaddy. Even Home Depot, longtime NASCAR stalwart, has been selling off quarterpanels and slowly fading from the scene. And where is DuPont these days? Maybe now, a year and a half later, it's time to consider just how well this 'IAP' is working. And maybe it's curious that it's taken NASCAR officials so long to become willing to lay all this out for media analysis...which Jewkes and his staff did Tuesday afternoon, during a break in the All-Star/Coke 600 week. When NASCAR execs decided about two years ago to redesign the sport's PR department and renamed it 'Integrated Marketing,' the objective was obvious: newspapers are all but dead, local TV doesn't mean much at all, print journalism is ancient history. So NASCAR officials are repackaging PR, dropping the PR and going straight to heavy duty marketing. That may make business sense. Go into any trackside media center and look around -- what was once a national army of journalists devoted to covering NASCAR has been decimated, and only a small cadre remains, surrounded weekly by a host of local area media that will have different faces next week at the next tour stop. When France decided to assess that situation, he brought in Brett Jewkes ( @BJewkes on Twitter, Brett Jewkes on Facebook ) from Taylor (formerly Alan Taylor Communications, a long-time NASCAR marketing partner). And France wound up accepting Jewkes' analysis and hired Jewkes himself to put it in motion. So what was once a two-man NASCAR PR operation not so long ago is now a 35-man-plus NASCAR marketing operation, which sometimes seems so large that it overwhelms tour press boxes. NASCAR may have some of country's most brilliant marketeers. And stepping over the line is nothing new here. A lot of this stuff may work, but not everything: Sorry to break with one story line, but NASCAR isn't green. Engines that get 4.5 mpg? It sounds like an oxymoron: NASCAR stockers guzzle gas, and those smoky burnouts don't exactly zig green. Planting trees is fine, but really it sounds somewhat bizarre. If NASCAR execs wanted to do something that could make a difference, they would have the NASCAR big rig fleet running on natural gas, and promoting it. Jack Roush has been fiddling in that area for a couple of years, but NASCAR execs haven't jumped on board yet. NASCAR's move to unleaded fuel a few years ago was far behind the curve, so 1970s. A move to LNG would be ahead of the curve, cool, and very promotional. Electronic fuel injection is a very good approach to increasing product relevance. But to be honest it has not been rolled out with very effective marketing (aside from that $25,000 fine on champion Brad Keselowski for complaining that it was 20-year-old technology). NASCAR's reliance on 1970s-era 358 cubic inch push-rod V-8s may well be cost efficient and certainly visually effective on race Sundays. But it's not 'green.' How many fans have 358 V-8s under the hood of their family cars? Honda, known for its engines and its racing prowess, just snubbed NASCAR and took its marketing game to Formula 1. NASCAR just let Dodge/Chrysler get away, and now Honda. Make that 0-for-2 in major sponsorships. 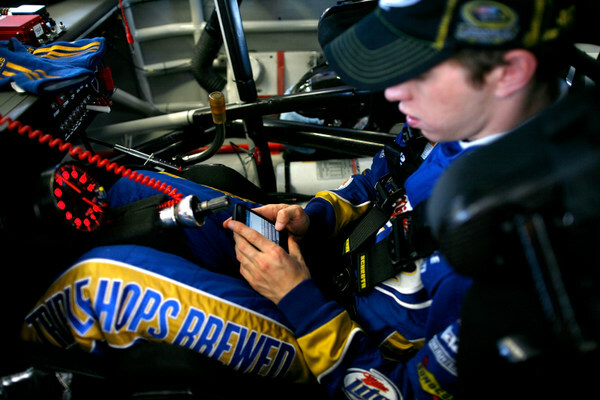 NASCAR's social-media/internet game plan is, well, mixed. 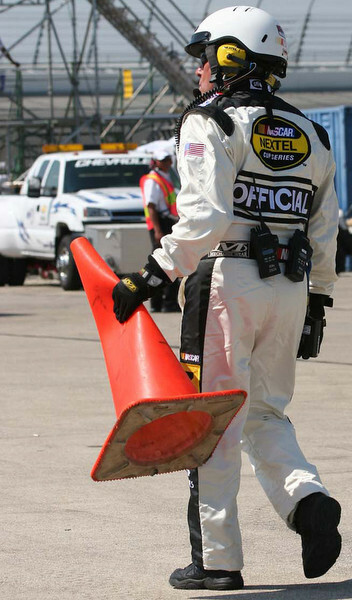 The Twitter-verse may be highly amused with the weekly antics of @theorangecone and @nascarcasm and other anonymous marketing figures. But nascar.com, since NASCAR took it in-house, has been something of a disaster. First, it crashes way too much. Second, the comments section has been disabled...which is odd, since NASCAR, in all this, is priding itself on fan feedback. The image is that NASCAR execs are too scared of fan response to allow it. However NASCAR on Facebook appears a little more open. However the 'next generation fan' part of this game plan may be one of the most difficult. For decades NASCAR didn't need to worry about this, because the story line was simple -- father likes NASCAR, takes son to NASCAR races, wives come along, and the circle continues. But NASCAR's several ill-fated moves to expand this sport's base appear to have backfired here, many moves aggravating classic core fans and working to break the circle. Taking the Labor Day Southern 500 from Darlington, S.C., to Los Angeles may be the most dramatic setback. But there are several others. Remember this sport used to play twice at North Wilkesboro Speedway and twice at North Carolina Motor Speedway at Rockingham and twice at Darlington Raceway. Certainly that was overkill in this one market, but the sharp cutback has had ramifications in the core fan base. 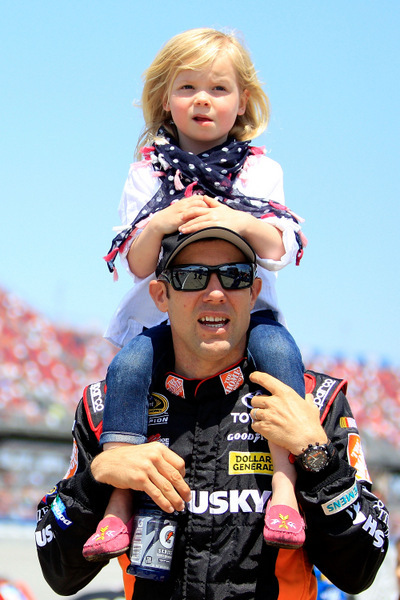 One point -- is 'family' still part of the NASCAR vocabulary? But maybe this year's marketing pitch is not 'family' but rather 'danger.' For years this sport has seemed perhaps too easy, no worries about death any more, in the wake of NASCAR's amazing safety push. Now, though, speeds are up a whopping five miles an hour, above what some -- like promoter Bruton Smith -- have complained as 'too fast' for good side by side competition. Why faster speeds, if not to add the element of danger? Sometimes it seems NASCAR may be trying to be too many things to too many people. NASCAR's Hispanic efforts have been admirable since that part of the project was launched in 2005. The Mexico City project was intriguing, and unfortunately cut too short. Working sponsorships, on both sides of the border, showed considerable potential, particularly Lowe's and Home Depot; however that part of the deal never really materialized in any strength. However the NASCAR Toyota Mexico series is coming along, as best as can be seen from so far away; and NASCAR took a major step by hosting one of those events at Phoenix International Raceway earlier this year. A Spanish version of nascar.com is coming (not just a translation of the US website). NASCAR is pushing Univision connections, like the mini-series Arranque de Pasion. And Fox Deportes carries several races live. It is unclear what percent of NASCAR fans are Hispanic, and unclear how that percentage has changed over the past few years. NASCAR is rarely good with handing out sensitive numbers like this...unless the numbers paint a very positive picture. Maybe NASCAR's 'fan zone' innovations should include 'kid zones,' that MacDonald's might know how to implement. Music is big in this next generation thing, and pretty straightforward: 50 Cent, et al. Gaming should be too, though it's not clear if NASCAR has a good hand on the new wave of video gaming. Does NASCAR do Steam? Overall it is not clear how effective NASCAR and its promoters are at selling the 'family' aspect of this sport, particularly given the exorbitant hotel expenses involved in coming to any race. In fact throughout this week's entire 2-1/2-hour abbreviated seminar with journalists on this new game plan, not a word was mentioned about hotel gouging, which is one of the biggest problems facing this sport, especially for families. Not a word about NASCAR and its promoters using their considerable political clout to produce anti-gouging legislation. However it is the 18-to-34 demographic that is so worrisome. For years this was the 'muscle-car' generation. How to get this Gen-Y on board the NASCAR train? 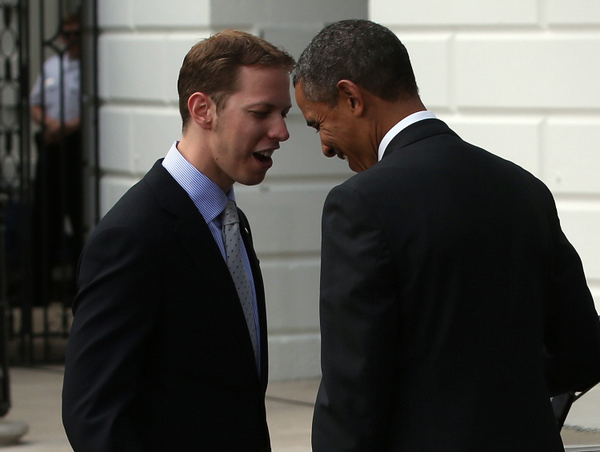 Don't think that fining 28-year-old Brad Keselowski $25,000 for using his cell phone was a great idea. Don't think that fining 32-year-old Denny Hamlin $25,000 for modest post-race comments at Phoenix was a great idea either. Actually those issues could be part of a much larger NASCAR problem, which this Industry Action Plan for growth doesn't really address -- a little more commonsense here. Indeed, part of the issue here -- perhaps a big part -- could be what appears to be the considerable schism between NASCAR's competition arm and NASCAR's marketing arm. Bill France Jr. believed that if the race day product was solid, with good competition, everything else would fall into place. Well, there may be more to this game than that. But competition has to be the bedrock of this sports business, and too often over the past two years especially on-track competition has been, well, dull. No matter how sharp and on their game NASCAR's marketers may be, without good action on the track, it pretty much goes for naught. But then until this week NASCAR execs never really asked for any journalists to weigh in on all this. Wonder if any will? Submitted by earl on Wed 05/22/2013 - 13:30. This seems more like NASCAR trying to attract more sponsorship for itself than anything else. Growing the fanbase by paid advertising is a pipe dream, especially so if only certain kinds of fans are targeted. If the sport is going to grow, it starts with enthusiastic fans getting others to watch races. This is what happened in the 90's early '00s and it worked quite well. Then NASCAR blew it by sitting back and letting the good part of the sport slip away. Now we're left with inconsistent racing and unwatchable broadcasts, not to mention a feeder system that's irrelevant because of very little driver turnover on the top few teams. 20 years ago, I had one friend that was into NASCAR, 10 years ago there were maybe 15-20 and twice that that would watch a race if it was on and barbecue was involved. Now it's back down to one. Everyone says the same thing, "Races are too long, don't have the time". "Boring". "Not fun to watch, you can't even tell what's going on. They barely talk about the race anymore." NASCAR is a good product presented horribly. The telecasts need major work if they are ever going to attract new fans. The website and app are laughable and totally useless. There's no legal way to watch races online and most of the races are on pay-tv. Don't make the product difficult to enjoy and people will get interested. Submitted by Jonathan Brosilo on Thu 05/23/2013 - 01:46. Ratings havent been that bad... i think they're doing a pretty damn good job this year. Did you see the all star race ratings???? •All-Star TV Ratings: According to Nielsen Media Research, SPEED enjoyed a strong week of live racing, as the NASCAR Sprint All-Star Race, the NASCAR Camping World Truck Series race from Charlotte and the ARCA Racing Series event from Toledo all enjoyed ratings increases. Submitted by ken on Thu 05/23/2013 - 04:56. 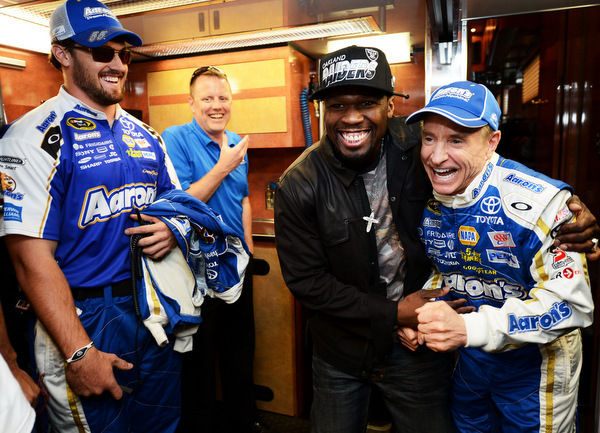 The problem with NASCAR: Hard to tell the difference between NASCAR and the WWE. Announcers building up drivers that don't really belong in the big league. Not enough competition until the last 20-30 laps when there is a restart which was caused by one of NASCAR's bogus yellow flags. The announcers always telling the audience "what a great race we're seeing". NASCAR,FOX, TNT, ESPN, I have a brain and don't need some analyst telling me that I'm seeing a great race. Slow the cars down about 15-20 MPH and raise them up about 5 inches. NASCAR wants the cars to look more like the cars in the show room...when did you see the front end of a showroom car with the front end touching the ground. Oh, and we'vr heard enough about Jr. & Danica to last a life time. Replace Brian. Submitted by Tony Geinzer on Thu 05/23/2013 - 05:43. I feel us fans should see key "Home Races" where the on-field issue is improved, not enhanced or cheapened. and I want to see races at Nashville and Birmingham... and the economic security issues would lead Nashville and Birmingham to build new Short Tracks. Submitted by Al Torney on Thu 05/23/2013 - 06:18. I enjoyed this article. It clarified some things that I had been thinking about. Unfortunely I think the future of Sprint Cup racing is exactly where it is today. It peaked a few years ago. And is now hoping it has reached it's lowest point . It is now time to make the necessary adjustments to sustain its profit structure. In other words it's time to cut your losses. Thinking that bringing a woman, an African-American, a Hispanic or an Eskimo into the sport is going to fill the seats is just plain ludicrous. And especially when you are attempting to entice people in the lowest economic level in the country. The unemployment rate for African-Americans is way above the national average. Historically the black population of the United States has not embraced oval track racing. I attend local races at Hagerstown Speedway, Lincoln Speedway and Williams Grove Speedway in Pa., Potomac Speedwfay in Md., Virginia Speedway and very seldom do you see African-Amehricans in attendance . Drag racing seems to attract them in greater numbers. While the economy and hotel gouging do play a part in the problem I feel they are a convenient excuse to cover the blunders of NASCAR' management. We've had the Chase for several years now and it has failed miserably to ignite fan interest. It did not grow the tv ratings and attendance did not increase. The inconsistencies in rule interpretations, penalties, perceived favoritism to certain teams and drivers, lucky dogs all contribute to the demise of th sport. And of course the the feeling of it's "all about the money" the fans have is not a good thing. I mean they've lost over two million tv viewers and I would guess 1/3 of paid attendance. These are big numbers. And I'm not even talking the truck series and Nationwvide. It's pretty obvious that sponsor and tv money is what is keeping those series alive. The attendance is downright pathetic. I could go on and on as the boys in Daytona have damn near killed the goose that laid the golden egg. It's over and it will not return to the glory years. Is the Hall of Fame breaking even yet? Maybe it's time to bounce Brian like the George Family did to Tony. Submitted by Rick Hill on Tue 05/28/2013 - 07:31. The NASCAR elephant may be just to big to succeed. Major changes are needed but the lobbyists (Hendrick, Roush, Childress ETC) would never agree! The horse is out of the barn and I just do not see anyone that can put it back in! Everything from pit crews (I was a pit crew member back in the day) to tracks, aero. The list just goes on! I wonder how well some of these stars could drive an old stocker like Cale drove in 73. 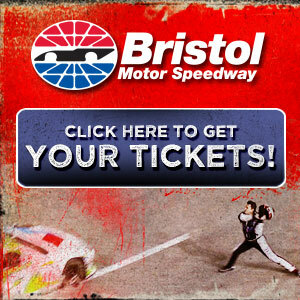 NASCAR's whiz bang game plan? Submitted by Gina on Thu 05/23/2013 - 06:30. Well, I read your column and it was very interesting. Now I have a couple of more "twitter" addresses for NASCAR types. Not that I really expect any of the NASCAR suits to actually do anything worthwhile other than talk. Completely agree with the failure of the new launch of NASCAR.com. What a worthless website. It was bad under Turner and now it's impossible to find even simple things. Muddled is a kind word. I use the Raceview program, which I PAY for and that was terrible for the first 2 or 3 wks of the season - enough that I almost cancelled it. More problems with it for the All-Star race and now they are offering it for a discount. I plan to call them and find out how MUCH of a discount since I am paying full price and there are months to go before November. I don't see much whiz bang in NACASR's game plan. Other than rolling out a car that is different in appearance, the racing has pretty much settled into the same old same old that we've seen ever since the Chase became the way to decide who gets the 10 race trophy. Yawn. Wake me when September comes and football is back. Submitted by jim on Thu 05/23/2013 - 11:37. Just read your 5/22/13 blog, hats off for again having the balls to print what is real. The boys from the beach have been more interested in spoon-feeding the masses instead of overseeing the sport. The racing is the show, not the hype. While others see it to write and comment on the politically correct, for fear of their jobs? You still call it like it is for the "core fan". NASCAR does not understand the cost of the weekend is just way too expensive for the audience they have. Sure some can afford it, but few can follow the series that was once regional and now is cross country. Bruton Smith pissed off the core with the Kentucky fiasco and his 'because I don't want to,' words that this fan will never ever forget. The hotel issue is more a problem with the core fan as we never had to travel where rooms were needed and it limits the amount of races you can afford. When the crowds are shown, the empty seats look like an Indy Car event. I will be honest with you, I hope the track owners work with the hotels and offer weekend packages, that are affordable, because the dollars spend anywhere. There are many ways to enjoy the weekend, and many are finding NASCAR just too greedy. As for you, I always enjoy your comments and love it when you "kick the bees nest", keep it WFO. How does Dale Jarrett get in the HOF before Benny (WTF) ? With all the Pettys in the hall does this mean KYLE is next? Submitted by Brian Cullather on Thu 05/23/2013 - 11:50. This is a great great read, It also got me thinking, where should NASCAR "be". It went through a hyper growth period like a lot of things did, but where is it settling at in relation to other things. Except for football it still outdraws other national sports on TV, fans walking through the gates is fair, overbuilt tracks in the boom make it look bad, but other sports have a lot of empty seats. Is this the level for now? Is this level okay? Yes I want the 80's/90's sport I loved back again, but that ship sunk. And yes, NASCAR.Com should be blown apart and started again. Submitted by David on Thu 05/23/2013 - 13:39. Until you told me, I didn't know I am too old for NASCAR to be interested in me as a fan, but at least now I know why they ignore me totally. As to two-way communication with NASCAR via Facebook, good luck. They appear to be totally ignoring fans there too. NASCAR suffers from a great deal of arrogance and little credibility. Their insane fines and super secret double whammy probation are a joke. Some of the drivers are repeatedly on super secret double whammy probation and are still the only thing the Fox announcers can talk about with bated breath and breathless adoration. NASCAR for whatever reason decided they wanted to be the WWE or automobile racing and they are! The show isn't worth the price anymore.....going to the race is prohibitively expensive and watching the race on TV seems to be an enormous waste of time anymore. I was a huge fan, but no more, I watch the race if I think of it or notice it when scrolling the pages on the onscreen guide but that is about it. Submitted by Dale on Thu 05/23/2013 - 14:58. I think if the Waltrips would just go away, everything will be fine! Submitted by Jeff on Thu 05/23/2013 - 15:00. Great article Mike. Some very interesting points and I was hell impressed a guy your age knows what Steam is! Must have teenagers. I just think it's funny how NASCAR started going downhill when the empty suits with their MBA's began running things on thier own. But instead of admitting this fact, the head suits hire more empty suits (35 person marketing team? Really?) and the problems continue to persist. Suits don't understand NASCAR's core fan base and never will. They'll just keep doing whatever their marketing surveys tell them until one day they look around and wonder how in the hell all that supposed brain power failed so miserably! Submitted by mike on Thu 05/23/2013 - 18:10. Submitted by Rob on Thu 05/23/2013 - 15:23. NASCAR is not going to gain any ground with the younger demographic with their current video game partners. Two games in and both have been junk. They look absolutely stunning, but the gameplay is just horrendous. I've bought my last NASCAR video game because it's not worth spending all that money for a junk game. Fun to play on occasion but that's about it. That said, I'm a 21-year-old NASCAR fan. I've been a fan since I was 3 and I'm an aspiring media member. I honestly don't see what the issues are. The racing has been pretty much the same to me since about 2005. Even with the "Gen 4" car, clean air was always an issue. I went to the June 2005 Pocono race. Michael Waltrip started on the pole and led the first 30 laps and got out to a 5-second lead. Then a caution came out and he pit, lost the lead, and was never heard from again. We can't blame the clean air issue on just the COT. I really feel that the crowds are dwindling mostly because of the economy. Take Talladega for example. What has really changed in the racing there since 1999? Take out the tandem year of 2011 and nothing has changed. The racing is the same as it's always been. And yet the crowds have shrank drastically. As you mentioned, the hotel gouging is ridiculous. Fuel prices are ridiculous. People don't have the expendable income anymore. My family used to go to both Dover races and one other "random" every year. We're only going to the Chase Dover race this year. Can't afford anywhere else. We can't say that "Well with HDTV people would rather just sit at home and watch instead of going." That argument doesn't hold water to me with this sport. Motor Racing is one event that TV does not do justice like it does for a football game. You don't experience the sounds, feel, smells of a live race from your couch. Plus, the absolutely horrible TV broadcasts aren't making it a good experience either. Too many commercials, too much camera-jumping and not enough of showing the actual racing. Submitted by Gina on Thu 05/23/2013 - 18:41. I agree with your statement that NASCAR races are best experienced in person. I thought your comment about the racing has been the same since 200t is accurate AND part of the problem. Before the chase, the brick on wheels and Goodyear with the rock hard tires, yes, there was some aero push but nothing to the extent that exists now. As crazy as it may sound, I'd rather see NASCAR go back to the cars of the 90's, install the safety gear and see if that makes any difference. At least cars of that iteration could catch one another and pass. The late 90's and early 2000's had some of the closest finishes in NASCAR history - remember Gordon & Harvick at Atlanta and Busch and Craven at Darlington? How long has it been since we've seen anything like that unless NASCAR has manipulated it into the realm of possibility with its late caution flag, G-W-C, double-file, let's wreck'em and the fans will think they saw a great finish nonsense? NASCAR management believes the fans are stupid, we hear the various shills tell us so every week (Kenny Wallace "listen up, race fans"). The result of all of that has been that I don't tune in for any of the pre-race shows because I'm really not interested in anything that Kenny W, Mikey, Rusty or Brad have to say. I love going to races because as you mentioned, the sounds, smells and atmosphere can't be experienced through TV. BUT, and this is the big issue for me - it has to be WORTH my time and money. I'm willing to pay and travel IF it is enjoyable; otherwise, I'll stay home and settle for watching the last 20 laps on TV. Submitted by drywall paul on Fri 05/24/2013 - 10:24. Nascar doesn't promote the sport.It stands behind 2 drivers. jr and danica. jr hasn't been much of a threat in 10 yrs really.He's good for about 1 win every 4 or 5 yrs.Danica hasn't won much of anything and should be racing in the truck series.She wasn't competitive in nationwide; why she thinks she should be in cup is beyond most. people tune in to see these 2 do what. jr run 12th and danica get lapped every 30 laps. Darrell telling everyone how she needs a little more time to get use to these cars .NO NO NO. that's what the truck and nationwide series is for . If these 2 are up front, good, talk about them like the real front runners. but hopeing and wishing these 2 too the front doesn't work, and we don't care what jr did 12 yrs ago. We don't want a danica spot about her running 30th at the end of every race. and darrell's run as the head speaker on Sunday has long, long ran its course. Submitted by Chris Blackstock on Fri 05/24/2013 - 18:50. At first glance, this article is 100% correct in quoting TP199 that this is not Dale Sr's NASCAR. For better or worse, like it or not, cliché upon cliché from the FOX, ESPN & TNT booths, the sport has evolved into an entertainment business. Expansion of broadcasting to Spanish speaking affiliates is crucial to 21st century NASCAR success. NASCAR needs to double down on the international appeal, not just international driver imports. The Sprint Cup Series needs to race outside of the USA. Yearly. A visit south of the boarder to Mexico, and a visit North to Canada. NASCAR needs to find the finances to build a state of the art facility in Europe. ALL INTERNATIONAL EVENTS must be points paying events. NASCAR has a European Series that if I had not fought through the website like Robin Williams in Jumanji, I WOULD HAVE NEVER KNOWN ABOUT. Four International events per year, its not unreasonable. Its a marketing opportunity for a "quadruple crown". Driver Twitter accounts are a gift we should be thankful for and not send "@beerguzzler248: @JimmieJohnson ruins lives for winning the All-Star Race" You wouldn't say it in public to him so shut your cakehole. Better yet, go try it with Ryan Newman. If NASCAR doesn't get this modern day mess of their licensed video games, they need to lauch their own Online Simulator exclusively for NASCAR Fans with all current race cars as well as downloadable content for cars like Jr Johnson's 500 winner. The last four NASCAR games have been played less than my N64 NASCAR 99 cartridge in the same time period. The Midas touch driver appeal will disappear over time. Fear not. Clint Bowyer is doing his part to prove that you can sponsor a driver, give them "freedom of speech" and that they can conduct themselves responsibly. NASCAR needs more manufacturers. Honda not coming to NASCAR is massively hard to swallow. Honda manufactures vehicles 30 mins from where I live, they are just as much a Canadian manufacturer to me as they are Japanese. Whether anyone likes it or not, Volkswagen will be the largest Auto Manufacturer ahead of their 2017 schedule, and not being in NASCAR when you build the most cars, says something about the series. They also build cars in America. I'd love to have Big Bill France and Bill France Jr's mentality of let the racing do the work. However if there is anything 15 years of being a fan has taught me, you could have the best finish in the history of racing and 50% of fans will hate it. We've got work to do and it's time to get that hard working, determined attitude that made NASCAR great speaking a few different dialects and singing some different tunes. All things to all People ? Submitted by Bob J. on Mon 05/27/2013 - 11:53. Think about when NASCAR actually was the big success that it's well-suited executives and army of marketers dream of it someday being again. Think about how tracks were once able to fill the stands, and to fill them without the apparent necessity for multiple forms of "outreach programs" and an apparent need to cozy up to every conceivable social trend and whim. Think about people's feeling's that the old-time races, when winners were determined by huge margins - think about how people seem to remember those races as more exciting than modern races where finishes are determined by seconds or fractions. Then ask how the sport has changed between those days and now. My sense is that the problems have something to do with a sense of basic human authenticity that's somehow been lost- an authenticity that's been washed away by the floods of money, lost under the ever-fancier paint jobs, and that continues to fade with NASCAR's vain attempts to make it all things to all people. Submitted by Clem Zahrobsky on Sun 10/13/2013 - 17:43. I have been going to NASCAR races since Darlington 1955 and back in the day when NASCAR was popular it was a car brand-based racing. It was Ford against Chevy,Pontiac,Mercury,Dodge. but NASCAR turned it into a driver-based racing because they can sell more souvenirs with drivers names on them than with car names. Most gear heads are car biased not some driver, so when NASCAR went away from car brand against car brand and started pushing drivers names the gear heads left. Instead of trying to appeal to the blue jean and work boot crowd they went for the suit and high heels crowd and it worked for a while but they moved on to the next big thing in their lives. I used to have $3K worth of tickets to Daytona but after they moved the handicapped parking from right behind the stands to down at the old dog track and making you wait 1 to 2 hours after the race before they ran the shuttle to get you back to your car because they could not run till all the fans left the stands. Daytona never called to see why I no longer was buying tickets.